Story: From Academy Award-winning filmmaker Ang Lee comes an epic American love story, based on the short story by Pulitzer Prize-winning author Annie Proulx and adapted for the screen by the team of Pulitzer Prize-winning author Larry McMurtry and Diana Ossana. 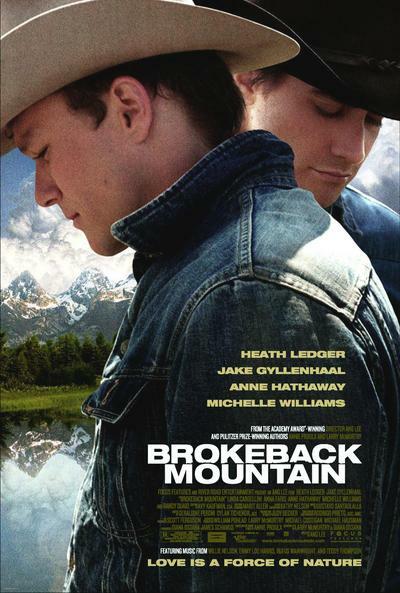 Set against the sweeping vistas of Wyoming and Texas, the film tells the story of two young men, a ranch-hand and a rodeo cowboy, who meet in the summer of 1963, and unexpectedly forge a lifelong connection, one whose complications, joys and tragedies provide a testament to the endurance and power of love. Early one morning in Signal, Wyoming, Ennis del Mar and Jack Twist meet while lining up for employment with local rancher Joe Aguirre. The world which Ennis and Jack have been born into is at once changing rapidly and yet scarcely evolving. Both young men seem certain of their set places in the heartland - obtaining steady work, marrying and raising a family - and yet hunger for something beyond what they can articulate. When Aguirre dispatches them to work as sheepherders up on the majestic Brokeback Mountain, they gravitate towards camaraderie and then a deeper intimacy. At summer's end, the two must come down from Brokeback and part ways. Remaining in Wyoming, Ennis weds his sweetheart Alma, with whom he will have two daughters as he ekes out a living. Jack, in Texas, catches the eye of a rodeo queen Lureen Newsome. Their courtship and marriage result in a son, as well as jobs in her father's business. Four years pass. One day, Alma brings Ennis a postcard from Jack, who is en route to visit Wyoming. Ennis waits expectantly for his friend, and when Jack at last arrives, in just one moment it is clear that the passage of time has only strengthened the men's attachment. In the years that follow, Ennis and Jack struggle to keep their secret bond alive. They meet up several times annually. Even when they are apart, they face the eternal questions of fidelity, commitment and trust. Ultimately, the one constant in their lives is a force of nature - love.